I’m not exactly sure who coined that phrase, but I am certain about the first time I heard it, which was in an interview featuring Apple CEO Tim Cook, where he reiterated Apple’s legendary stance on privacy (Apple famously refused the FBI’s request to unlock the iPhone of one of the terrorists involved in the 2015 San Bernardino mass shooting). It was a statement that I thought about for a while, bouncing it around my head as its implications dawned on me. To me, that statement was both mind boggling, yet remarkably obvious. It was one of those things you know to expect, but when it’s confirmed it stills shocks you. It does make sense though. After all, if you’re a business providing a service for free, there has to be a way for you to recoup the cost of providing that service, and in the 21st century, social media and almost all of the sites on the internet do this by collecting and monetizing your data. Facebook and Google are Exhibits A & B of this, but today I want to focus in particular on Facebook. Let’s begin with the Cambridge Analytica scandal that took place in early 2018. To refresh your memories, and for those not aware, the scandal revolves around the fact that Cambridge Analytica, a British political consulting firm was able to harvest the private data of 50-87 million Facebook users to be used for targeted advertising. Amidst the public backlash, it was also revealed that Facebook had been collecting the call and text history of its users with android phones for years. It did this with their “permission” when unsuspecting users allowed the site to import their phone contacts for its Messenger app. Facebook users on Twitter posted their personal records (which the company allows you download), revealing a 1984 Big Brother-esque level of information collection. One user found out that Facebook had the info for every single phone call and text that he had made in a year. Another found out that Facebook had his entire call history with his partner’s mother. Now I’m well aware that privacy on the internet is a myth. That’s a fact that may or may not concern you, depending on what you spend your time doing on the internet. However, the reason why it’s worth singling out Facebook is not just the extent of the data they harvest from their users, but just how callous and careless they are with it. One would think that Facebook would keep all the information collected from users behind a digital vault. But alas, Facebook treats that data carelessly, making data partnerships with basically any organization willing to pay, and imposing flimsy rules that determined organizations (or individuals) can easily work around to obtain the information. 2007: Facebook pays a $9.5million fine to a fund for privacy and security as part of a settlement agreement for violating the Video Privacy Protection Act. 2009: The FTC began an investigation into Facebook when an incident revealed that information users thought private was shared publicly. 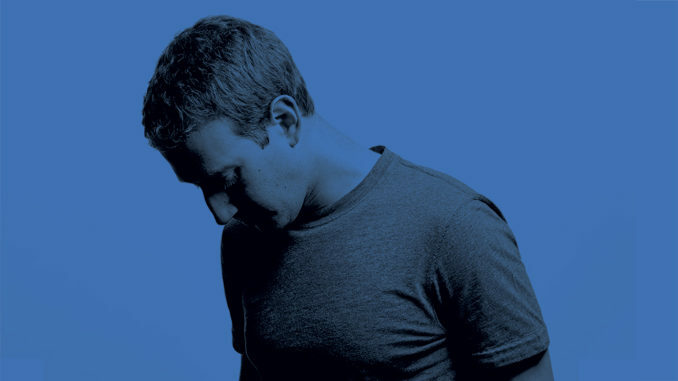 2013: Facebook revealed the details of a bug that exposed the personal details of the accounts of 6 million of its users over a year. Not so funny comedian, but exceptional political commentator, John Oliver recently had a brilliant segment in which he discussed Facebook and its significant role in the 2017 Tula Toi (Rohingya) massacre. I believe it is worth checking out. Basically, Oliver reiterates in a spectacular fashion what the UN human rights experts concluded: Facebook played a role in spreading hate speech against the mostly Muslim Rohingya minority. Hate speech flourished so much on Facebook in Myanmar that to use Oliver’s words, it became an “echo chamber of Islamophobia”. What’s worse is that Facebook was not caught off guard by this. 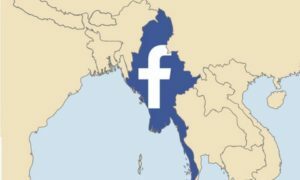 Multiple civil society groups and individuals had warned Facebook as far back as 2013 about how its site was being used to inflame the situation in Myanmar. For a company whose CEO advocates for a “move fast and break things” approach, Facebook certainly moved sluggishly slow in addressing the hate speech on its site in Myanmar. So, to recap, Facebook collects an uncomfortably vast amount of personal data from its users, sells that data through data-sharing partnerships with anyone who will pay (including Huawei, a Chinese company considered a national security risk) and has a serious problem with misinformation and hate speech on its site. These factors, and many more I don’t have the space to get into in this article, raise serious questions about the role of Facebook in our society. So once again, I ask: Is Facebook really worth it?